The Audience Building Roundtable Technical Assistance grant funded recruitment and engagement events for the High Museum of Art’s Young Professionals (YP) members. The event was modeled after the High’s popular First Fridays and was promoted to acquire new YP members, renew expired members and engage current YPs. The target audience included 1,500 current and/or prospective YP members, ages 21 to 39. 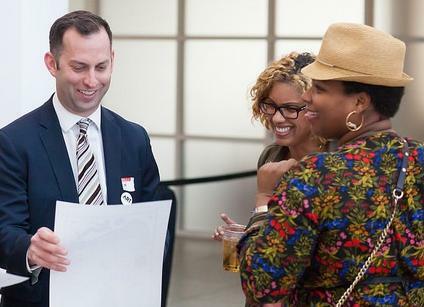 The goal of the event was to cultivate current and prospective members, deepen their connection to the Museum and connect YPs to arts culture in Atlanta. Funding allowed the High to provide attendees with free admission and activities throughout the evening. The High’s membership team collaborated internally with the public programs, marketing, creative services, special events and guest relations teams to plan the event. An event logo was created and featured on flyers, the website, the “Art After Dark” Facebook event page and on glow-in-the-dark admittance stickers. Local print-making duo, Broken Window Theory, created exclusive prints. 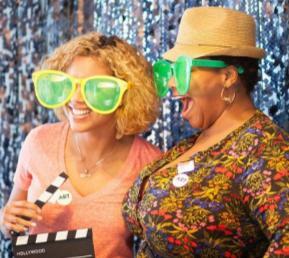 The Shutterbooth photo booth gave guests a printout and a gif version of their picture to share on social media, both featuring the event logo. 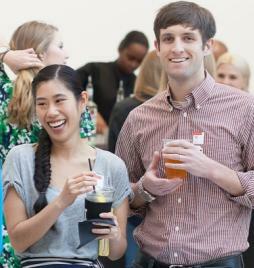 The 139 attendees received an event-specific koozie and a drink ticket. Music was provided by DJ Teknology and Photo by Gannon provided event photography. To build on “Art After Dark” momentum and engagement efforts, the High will host two membership drive events to continue to grow this membership level before the end of the fiscal year (May 31, 2017). Many of our patrons do not understand that Young Professionals is a membership level, not just an age bracket. We are considering changing the group’s name from Young Professionals to Young Patrons in order to convey that YP members are also donors that are vital to supporting the mission of the High Museum. We recommend peer organizations create events with a myriad of components to keep guests interested while still providing networking opportunities. YPs come to events to have fun, creative experiences and to make friends. We also recommend boosting the Facebook event. This inexpensive marketing technique packed a big punch. For $200, 485 individuals indicated they would attend, 5,200 were interested and the event reached 174,000 with 22,000 views. Our experience showed that YPs appreciated the event exclusivity but we believe many more individuals would have attended the event if we offered an event-specific ticket. “Art After Dark” then could have provided the opportunity for attendees to upgrade their ticket purchase to join, engaging potential new YP members in person versus pre-event.